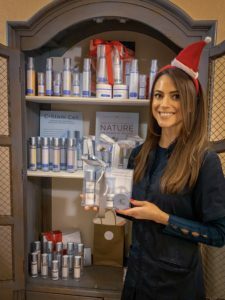 Skinapeel Beauty | Ho Ho Holiday Gift Guide! Every year I think I’m going to get my holiday shopping done early. Some years I succeed and some I don’t. I know it’s not all about gifts, but doesn’t it just feel good to give someone something you really are excited about?! 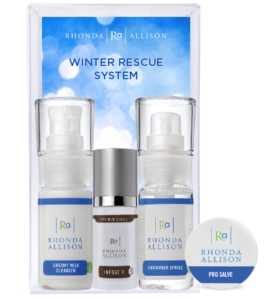 This year, I was so impressed with all the beautiful holiday gift sets, by my favorite skin care line – Rhonda Allison Cosmeceuticals– I wanted to share them all with you! Our skin is our largest organ, and the only one we can visibly see how we’re affecting. It will be with us a loonnng time, so in my humble opinion Skin Care truly IS the gift that keeps on giving! Treat it with kindness and the proper care and it will pay dividends down the road. Let the season of giving begin with these great gift ideas for everyone on your list! 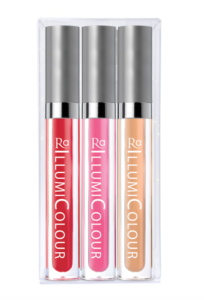 Contact me to find out more info or purchase, and book here for your own holiday glow! See you at the Skinapeel Spa!